Predictive Analytics is the process of using machine learning to analyze data to make predictions. Though it has been around for quite some time, its popularity has been slow to rise owing to its complex mechanism and cost involved. Thanks to the partnering with Big Data, the adoption of Predictive Analytics is now growing in pace and is being deployed by companies of all sizes. Global conglomerates are slowly but surely waking up to the realization that predictive analytics need to be exploited in order to remain ahead of the competition. With this in mind, Wal-Mart recently acquired Inkiru, a predictive analytics startup specializing in analyzing big data in order to improve marketing, fraud prevention and merchandising. 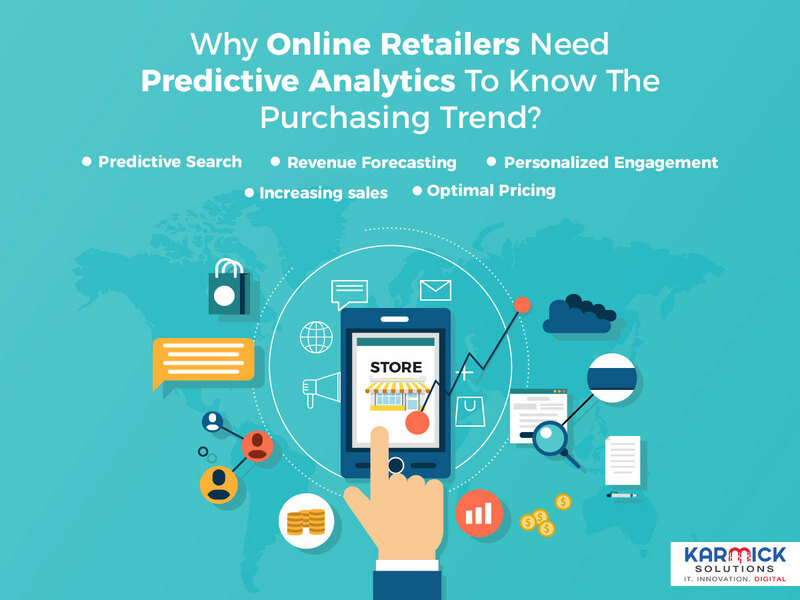 Predictive analytics builds a comprehensive profile of the target consumer by analyzing a host of their online behavior patterns such as search history, purchase history, social media likes etc. based on this comprehensive view, it then proceeds to predict what kind of products or services such a consumer might be looking for, which platforms would be best to target said consumer and what kind of ads the consumer is most likely to respond to. Based upon these predictions, companies can make informed choices when targeting their key demography to increase their probability of sales conversion. When a consumer begins interacting with an online retailer, that interaction is often begun with the consumer going through the site of the retailer. If the retailer can assist the consumer in his or her search by predicting what the consumer is looking for, this will lead to increased sales. Predictive search works by analyzing the past online behavior of the consumer such as search history, click through behavior and preferences. One such application of predictive search is accomplished by the data analysis firm known as BloomReach. BloomReach tries to figure out the intent of the consumer based on their previous click-through behavior and then matches it with the content that is already present on the site. Once the match is made, the results are flashed to the consumer in order to promote sales. The front end of the BloomReach interface is very user-friendly. Behind the scenes, BloomReach uses proprietary algorithms to continuously analyze the behavior pattern of the consumer in order to come up with the best predictions as to what the customer would want to buy. It is a cloud-based solution and can be integrated across multiple e-commerce platforms. Social media activity, long-term shopping history, and product preferences are crucial pieces of information when it comes to collecting data about a consumer. However, the most important few moments for any retailer is the time they directly interact with the customer at the point of sale. Inkiru is a predictive analytics startup that was recently acquired by Wal-Mart. It specializes in improving fraud prevention goals, merchandising and marketing. Since Inkiru gathers its data from multiple sources, its research is thorough and its prediction is most likely to spur sales on the part of the customer. At the end of the day, the whole point behind predictive analytics is to increase sales. Inkiru claims to be singularly geared towards this and all their operations are also streamlined that way. Online retailing loses billions of dollars every year to fraud. Predictive analytics helps in minimizing fraudulent transactions by removing items from suggestions that are most susceptible to fraud. It can detect a fraudulent transaction even before the same is complete and can halt the process midway. Its built-in models are tailor-made to cater to the unique requirements of individual industries such as online retailing etc. Predictive analytics studies purchasing patterns, browsing patterns and payment methods to detect and reduce fraud. Traditional forecasting looks at the purchase behavior of shoppers from the previous year to predict the level of sales that a company can hope to have in the coming year. Unfortunately, this kind of approach looks at only one parameter and as such is not as accurate as one would desire. Compared to the traditional way of forecasting, predictive analytics looks at a plethora of information such as categories shopped, channels the customers were acquired from and their demographic makeup. This kind of analysis that takes into account a multitude of parameters tends to be much more accurate than other methods of forecasting. When data is collected from multiple touch points, smart algorithms enable us to obtain insights about the customer such as purchase history, interests, pattern, page views, preferences etc. These many parameters enable us to build a comprehensive profile of the customer. Over and above this exhaustive view, predictive analytics makes our standpoint that much clearer by going ahead and predicting what such a customer is most likely to buy next and thereby help in flashing the right kind of content to the target consumer. Relevant suggestions that are in keeping with a customer’s likes and choices lead to increased brand loyalty and enhanced customer engagement.